At 3.44 p.m. on Friday 16 June 2017 the Guardian published this exposé: Most of Central London Hospital to be Sold Off, Plans Reveal. What ensued goes to the very heart of the dishonest approach the Conservative government has taken concerning its plan to demolish Charing Cross Hospital and replace it with a small clinic, and close its A&E and replace that with an Urgent Care Clinic - which it admits it proposes to do after 2021. However, that statement from the Department of Health was not true. By Monday 19 June, they came clean and admitted that. Indeed, they even asked for the paragraph they'd wanted inserted 3 days earlier to be removed from the on-line story. The Guardian did as they asked but added a new paragraph stating that the Department of Health has now "confirmed that these plans [correctly reported in their original story] were consulted on and agreed in 2012/13, so the reconfiguration of those services is underway". That episode is typical of the consistently underhand approach the Conservative government has taken in its determination to stop the public having a full understanding of what they actually plan to do to Charing Cross Hospital. Re-brand the Urgent Care Clinic a "Class 3 A&E"
Anyone viewing the government's Shaping a Healthier Future website will find it hard to see any of this detail. Instead, the language is rich in disingenuous double-speak. For example, that website explains the closure of four hospitals in North West London by saying “the existing nine hospitals will be transformed into five major acute hospitals”. In the case of Charing Cross Hospital, their use of the word “transformed” means demolished. 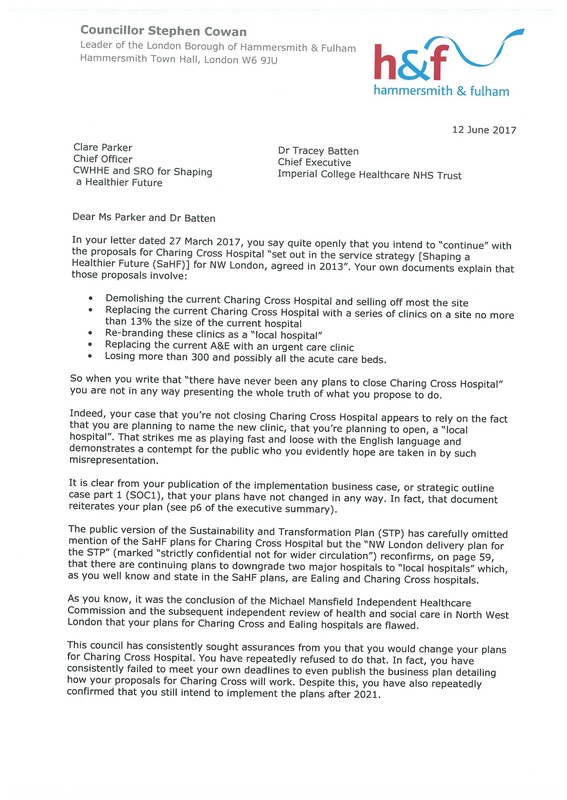 In that same spirit on 27 March 2017, two government heath bureaucrats wrote to me and asserted "there have never been any plans to close Charing Cross Hospital". The complaint was from Dr Tracey Batten, the highly paid Chief Executive of Imperial College Healthcare NHS Trust and Clare Parker, the Chief Officer for North West London Collaboration of Clinical Commissioning Groups. I wrote back to them pointing out that they are "playing fast and loose with the English language". For example, when they wrote “there have never been any plans to close Charing Cross Hospital” their case "appears to rely on the fact that they are planning to name the new clinic, that [they’re] planning to open, a 'local hospital'”. You can read my letter in full here. 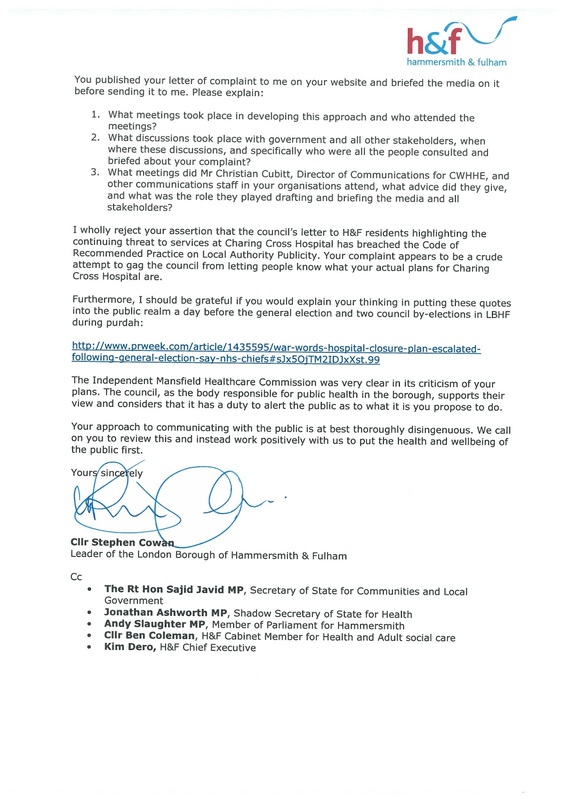 We viewed Tracey Batten and Claire Parker's letter as a deliberate attempt to gag Hammersmith & Fulham Council from informing our residents about what is proposed for Charing Cross Hospital. They followed their letter up with a statement controversially given to PR Week during the recent general and council by-elections which included an intimidating threat that they will "take it to the next level". Our local Conservative councillors have long been at the front of all these attempts to mislead the public on the future of Charing Cross Hospital. 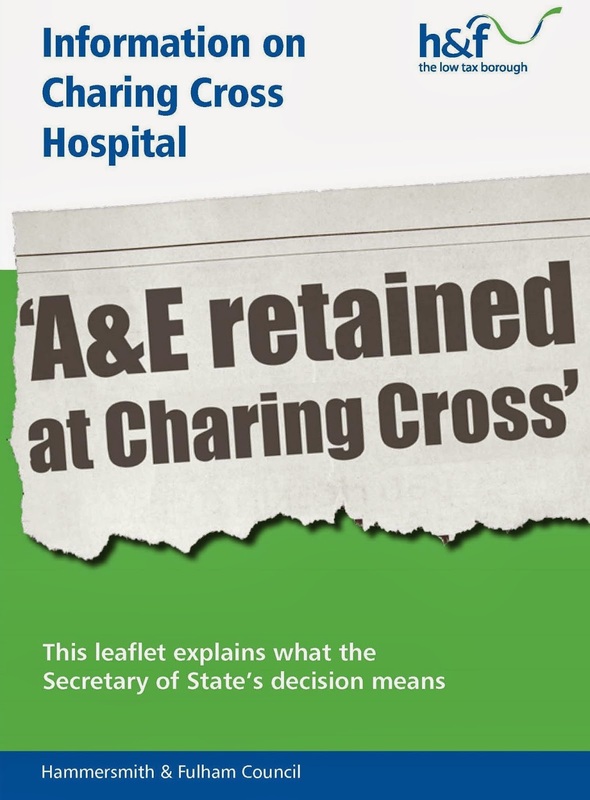 In 2013, when they ran the council they left the cross-party campaign to save the hospital and then spent public money to falsely claim they had already "saved" Charing Cross and "retained" its A&E after they and government health chiefs came up with the ruse to re-brand the new small clinic a "local hospital". They're still doing that now. On 5 April 2017, I received an email from David Morton just after he had been selected as one of the three Labour council candidates for Avonmore & Brook Green. He wrote that "at 7:30 pm last night I received an unexpected visit to my home from Cllr Joe Carlebach. [Con]" and reported that Joe Carlebach had told him "he was prompting the NHS to take legal action against us for claiming that there was an intention to close Charing X hospital." Cllr Joe Carlebach is the borough's current leader of the Conservative opposition but at the time he was the chair of the Hammersmith Conservative Association with responsibility for all election material they put out during the recent general and local elections. 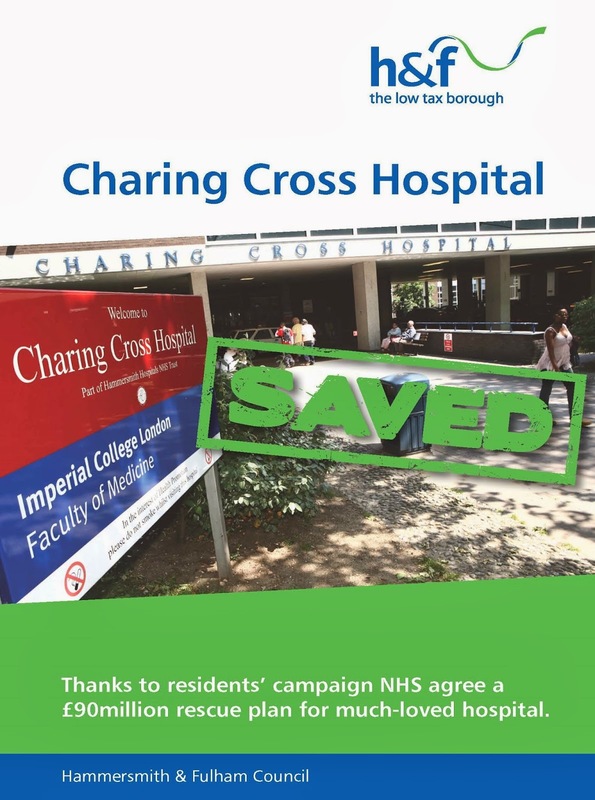 Hammersmith Conservatives printed and delivered a variety of election material claiming that those reporting that Charing Cross Hospital and its A&E are under threat are lying. 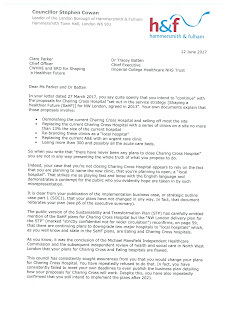 They even re-printed Tracey Batten and Clare Parker's letter and delivered it across Hammersmith repeating the line that “there have never been any plans to close Charing Cross Hospital”. 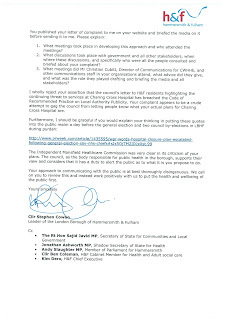 Meanwhile, in the south of the borough, Greg Hands (Con) the MP for Chelsea & Fulham also repeated the nonsense that Charing Cross Hospital and its A&E are not under threat while accusing both the Council and Labour candidates of "falsehoods" for pointing out all of the details listed in the government's Shaping a Healthier Future plan. 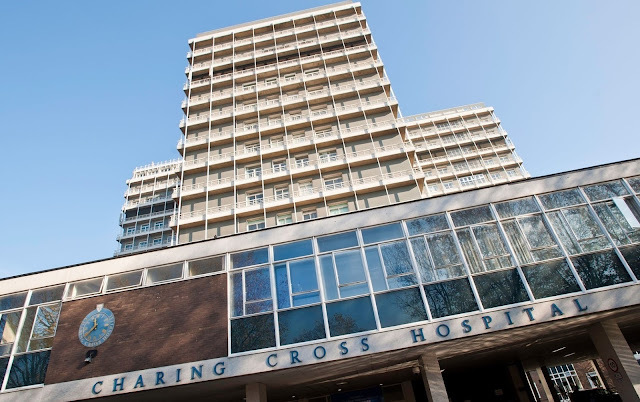 As recently as last Wednesday night's Full Council Meeting, Conservative councillors were dismissively yelling out that the closure of Charing Cross Hospital is a lie. Their deputy leader joining in such heckling just moments after he and his colleagues had indicated they may want to change their public position following the recent election results - having realised Hammersmith & Fulham's residents had not been taken in by their shenanigans and were punishing them at the ballot box. Carlebach and Hands both fully understand what the government's Shaping a Healthier Future plan will mean for the current Charing Cross Hospital. They have simply been sticking to the Conservatives' long-standing line. The same line that on 7 September 2014 had The Mail on Sunday attack David Cameron in this article. They reported how "days before council elections in May, the Prime Minister visited Hammersmith in London and stated that Charing Cross Hospital in nearby Fulham ‘will retain its A&E and services’... But the organisation that runs the hospital intends to close the department and replace it with an ‘urgent care centre’, NHS papers show". I have been formally reviewing the issues around the closure of Charing Cross Hospital since they first began to unfold around 2011 as I was a member of the borough’s Housing, Health and Adult Social Care Select Committee between 2010 and 2014. That committee had a statutory duty to scrutinise all matters to do with public health in our borough. If any reader puts "Charing Cross Hospital" into the search bar of this website they can read the many reports I've made as this issue has unfolded. After being elected as the Leader of Hammersmith & Fulham Council in 2014, I believed it was important to cut through all the misleading information being put into the public realm by the government, health bureaucrats and local Conservative councillors. I asked the eminent Michael Mansfield QC to chair a public inquiry into the the Shaping a Healthier Future plan. 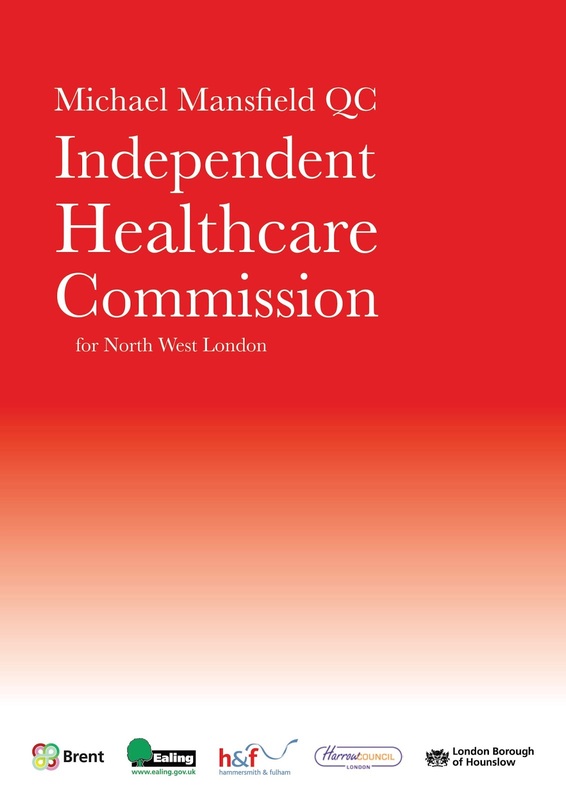 Along with Ealing, Hounslow, Brent and Harrow councils, we funded the Independent Healthcare Commission for North West London. There is no completed, up-to-date business plan in place that sets out the case for delivering the Shaping a Healthier Future (SaHF) programme, demonstrating that the programme is affordable and deliverable. There was limited and inadequate public consultation on the SaHF proposals and those proposals themselves did not provide an accurate view of the costs and risks to the people affected. The escalating cost of the programme does not represent value for money and is a waste of precious public resources. NHS facilities, delivering important public healthcare services, have been closed without adequate alternative provision being put in place. The original business case seriously underestimated the increasing size of the population in North West London and fails to address the increasing need for services. The Shaping a Healthier Future programme needs to be halted. Local authorities should consider seeking a judicial review of the decision to implement the programme if it is not halted. 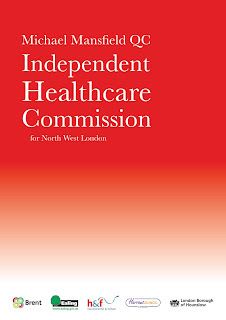 The Independent Healthcare Commission for North West London indicated that the government would find it impossible to stick to its original schedule for closing Charing Cross Hospital. Indeed, the people charged with closing the hospital have not even met any of the half dozen or so deadlines they had set themselves for publishing their business plan. So now they have delayed the closure of Charing Cross Hospital until after 2021 and are scrambling to meet the demand they failed to predict - just as lots of people told them they would. 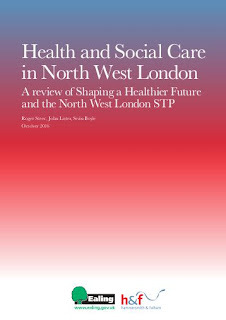 Hammersmith & Fulham and Ealing councils resisted the attempt to sucker us into helping them plan their NHS cuts by refusing to sign up to the government's new Sustainability and Transformation Plan (STP) - which was little more than a re-packaging of their failing Shaping a Healthier Future plan. That was despite the (what turned out to be a completely false) threat that they'd damage our adult social care budget if we didn't. Along with Julian Bell, the leader of Ealing Council, we commissioned Roger Steer, Dr John Lister and Seán Boyle to do a further review which was titled Health and Social Care in North West London which you can read here. The Shaping a Healthier Future plan has also proposed that Ealing Hospital will close. It is being valiantly defended by Ealing Council - with Conservative councillors taking a similarly cynical approach there as they do in Hammersmith and Fulham. Since winning control of Hammersmith & Fulham Council my fellow Labour councillors and I have re-engineered services and are cutting and re-assigning £63 million of wasteful council spending. So we're all for modernising services and saving money in any public institution. Hammersmith & Fulham Council is the body responsible for public health in the borough. My fellow Labour councillors and I, along with our officials and advisers, have consistently sought assurances from the people behind the Shaping a Healthier Future plan to work with us to change it in light of the considerable amount of evidence we have presented that says they should. But they have repeatedly refused to do that. Instead they hired a Conservative government spin doctor and a high profile advertising agency to re-engineer the English language so it misleads the public about what exactly it is they propose to do to our local NHS services. The Conservative government's approach to the NHS that underlies Shaping a Healthier Future is thoroughly ideological. Hammersmith & Fulham's Labour administration will continue to defend Charing Cross Hospital and work with others to protect our NHS. We have hired some of the best advisers and lawyers to help us do exactly that. The Shaping a Healthier Future plan is deeply flawed. We cannot see how the government can move forward with it without putting lives at risk. When the people charged with delivering this for the government recognise the very real need for Charing Cross and Ealing Hospitals and change their approach, they will find the door is still open for them to work with us to help them make that change. Twelve people have now been confirmed dead, 75 people are being treated in six hospitals and 20 people are in a critical condition following the fire in Grenfell Tower in Kensington. My thoughts go to all those people who have lost loved ones and who have been frantically trying to find out what has happened to their loved ones. They have lost their homes and everything they own. You can make a donation here. The emergency services have done and are doing an amazing job. Our NHS, fire, police and ambulance services have been outstanding as have council officers, volunteers and community groups - many still working now. Along with many of our residents, Hammersmith & Fulham council quickly offered help and we have been assisting our neighbours in Kensington and Chelsea council who are doing everything they can. Sue Fennimore and I were in the area this afternoon - at the Community Centre on the Edward Woods Estate and at St Clements Church on Sirdar Road in Kensington which is one of two Rest Centres being run by a Hammersmith & Fulham council officer. Faith groups, businesses and lots of compassionate people have been dropping off food, drink, clothing, toiletries, children's toys and books, and other vital supplies. Their many, many kindness showing London at its best. I am advised that while we have enough supplies at the moment, cash donations are still very welcome. 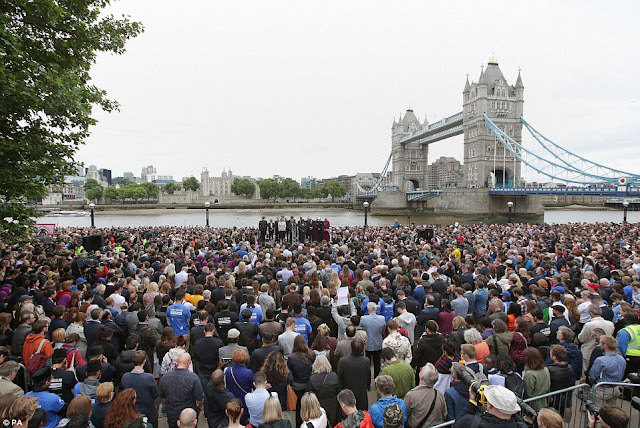 Last night Sue Fennimore, Hammersmith & Fulham’s deputy leader, and I stood alongside London’s leaders and thousands of Londoners at the vigil for the victims of the London Bridge and Borough Market atrocity. The shock and sorrow that all of us feel is shared by people across the world following the hateful attack by three deluded cowards. The defenseless victims killed and injured come from many different countries and backgrounds – all peacefully enjoying their Saturday night because London is a city where people live, work and get along together like no other place on earth. Those that attacked us did so because their poisonous ideology sees that as a threat to how they think the world should be. We must stand firm against them and we must win. That’s why our Labour administration has put the largest number of council-funded police onto the streets in the history of our borough, is increasing CCTV coverage and taking new measures to keep our residents safe. But we must beat those that attack us with our ideas and way of life too. We must continue to show our solidarity and love for one another and in doing that we will face down this evil. Last night, as we walked back from the vigil through the London Bridge area, it was heartening to see Londoners defiantly carrying-on – working, hanging-out with friends and typically refusing to be cowed. I’d like to invite you, your friends and family to celebrate our diversity and solidarity with our borough’s second ever Unity Day on Sunday 11 June. We will be gather at Shepherds Bush Green at 11am and walk to Ravenscourt Park where there will be music, dance and food from the wide range of cultures that enrich our borough. The event will last until 4.30pm. Last Monday was the three-year anniversary of the council elections in which local people voted to give the job of running our borough to my fellow H&F Labour councillors and me. This is the BBC News report from that evening. People voted for us from across a wide variety of political persuasions. My colleagues and I have always remained grateful to all of them and absolutely determined to make our residents proud. There's much we've done, which I'll report on over the coming weeks. Here's a report on some of the things we're doing with the borough's finances. Over the last six months or so, the Mail on Sunday, BBC Radio 4's Today Programme, The Standard, The Sunday Times and a host of other media have all reported that Hammersmith & Fulham’s Labour administration runs the only council in the country to abolish charges for Adult Social Care while being one of the only councils in the UK to freeze council tax this year. The Daily Politics programme reported that we're the only council in the country to offer our residents better value now than we did twenty years ago. Our Conservative predecessors had enjoyed a generous government Council Tax Freeze Grant but the Conservative government abolished that two years ago and instead urged us to raise council tax by 7.75%. Despite that, my fellow Labour councillors and I are the only administration in London to cut council tax this electoral term. Our Conservative predecessors had introduced 600 stealth taxes, but we are the only administration of any political colour to cut 85% of all the Council's charges for our residents. And while our Conservative predecessors put parking charges up by 25.3% and budgeted to put them up 14.7% immediately after the council elections, we've frozen parking charges for each of the 3 years we've been in office. This year, we're adding an additional £4.4 million of new funding to the Adult Social Care budget - which is £1.1 million more than that department’s officials asked us for. We've done this and more at a time of punitive government cuts to our budget. Most council funding has traditionally come from a central government grant - not from council tax. By the end of the next financial year, the Conservative government will have cut H&F's central government grant by 74% since they and their former Liberal Democrat partners came into office in 2010. That will be a reduction of £83 million for our borough. So how have we been able to do all of this? We came into office with a critical view that local government was a long way off where it needed to be if our residents were to favourably compare their council with the very best organisations in the world. However, we were surprised to find we had inherited an organisation that was simply not fit for purpose across many areas of its responsibilities. To be fair, some useful improvements happened under the former Conservative administration and there were areas of the council's work which remain impressive but they had bequeathed us a corporate culture that was dated, wasteful, self-satisfied and had too little regard for our residents. Too often, the approach to complex challenges was amateur. When things went wrong, as they inevitably did, the cultural reflex was often one of blame, denial, ducking responsibility and indifference rather than forensic analysis, fixing the problem, learning and moving on. All this wasted time and money and all of this was exacerbated by the Byzantine structures of a 'tri-borough' arrangement the Conservatives had agreed with two other councils. We were immediately confronted with the scale of the changes we needed to make during our first summer in office. The first and worst example of this culture being the new tri- borough Special Educational Needs Transport Service for disabled children which had gone live just over a month before the election. It was horrendously bad and it put the children at risk. Parents, teachers and carers were desperately worried. Fixing that service - which we did - was made so much harder by all of the above. In fact, the Conservatives had procured some astonishingly costly and disastrous contracts. They had employed some of the highest paid officials in the UK and had too many of them too. There was little effective training and development of the council's employees with too many staff carrying out important work which they did not have all the necessary capabilities for. And the Conservatives sold billions of pounds of public land to property developers at knock-down prices - with no regard for the fact that on some of that land were the council homes of hundreds of local families. Meanwhile, Conservative councillors had squandered millions of pounds: adorning our streets with vanity banners hanging from lamp post featuring their super-sized photos; a newspaper; and over half a dozen different self-aggrandizing magazines - all promoting their North Korean style political propaganda. The world has moved on compared to even ten years ago. People socialise differently and buy products and services differently. The most effective organisations use big data to better predict demand and they re-engineer and contentiously improve services to make them better for their customers. But the Hammersmith & Fulham Council we inherited 3 years ago acted, looked and felt like an organisation from 30 years ago. We set about a programme of change and modernisation. Cutting senior management and restructuring the council, while retaining and recruiting some of the best people in local government and training and up-skilling our staff so they're empowered to do more. 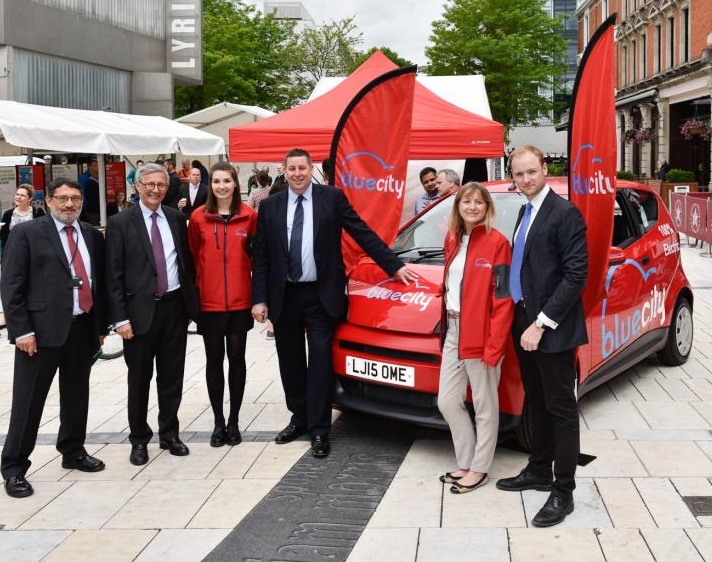 We've also negotiated a record £219 million from property developers which will benefit the capital account as those schemes come forward in future years. Of that sum, we won £52.25 million more by immediately re-negotiating 7 property deals shortly after the 2014 council election - deals which Conservative councillors had already agreed at much lower sums and closed the book on. They're not an active group of local elected representatives. As this link shows, Hammersmith & Fulham's Conservative councillors don't do many surgeries for their constituents and simply don't turn up to a staggering amount of council meetings. It's also evident that the Borough's Conservative opposition do not understand rudimentary aspects of public finances. “I find it curious that he [me] boasts of £50 million extra from developers - and we’ll come onto the detail of that later - where he says he’s already saved £24 million and he brought in £50 million: well if he got to find £71 million worth of savings in total, I don’t know what his problem is, he’s already got all the money in!” as you can listen to here. That statement demonstrated that they had mixed up the difference between the revenue account and the capital account and had no understanding of the fact that this was not a one-off gap to be met in a single year but an accruing year-on-year gap that would need to be reached by 2018/19 and again (plus a greater amount) each year thereafter. The following year, the main suggestion in H&F Conservatives' budget response was that H&F Council should abolish the meals-on-wheels service which, apart from being cruel, would not save very much money at all. That had them attacked as "clueless" by this website. On 13 January 2016, the Conservative leader attended the Audit Committee as a representative of Riverside Studios. Under questioning from Councillors PJ Murphy and Ben Coleman he said he did not recognise Section 106 money as public money despite it being agreed by Parliament as such in the Town and Country Planning Act 1990. He then spent quite a long time explaining his philosophical view that he didn’t support the term “public money”. We want Hammersmith & Fulham to be the best council in the country. Actually, we want it to be comparable to some of the best, most effective organisations anywhere. Getting public finances right is crucial to that but can only be sustainable if we modernise how the council operates. We know that the best way to make improvements is to do it with the people using the services. For a council that is the local residents and businesses we serve. That's why we've; set up resident and business led policy commissions which has helped us do more, better and quicker; we introduced a new public policy and accountability process to give residents more influence on what the council does; and we try to work with our residents and businesses rather than have the council do things to them. We think our borough has a chance at being the best place for business, the best place to live and work and the very best council. Delivering that is what motivates my fellow Labour councillors and me. We remain ever grateful to all of the 22,163 people who voted for us three years ago and gave us the opportunity to do this. Once again, the flags fly at half mast over Hammersmith Town Hall after the heartbreaking news that at least 22 people have been murdered and 59 injured by a coward's bomb at a pop concert in the Manchester Arena. At the time of writing, we have learnt of the first two reported victims. Georgina Bethany Callander was just 18. Georgina died, with her mum at her hospital bedside. Saffie-Rose Roussos, an 8-year-old little girl, had gone to the concert with her mum and sister for what should have been a beautiful evening. As we learn more of the people taken through this vile act I know that all in Hammersmith & Fulham will share the deepest sadness and want to send the clearest message of love and solidarity to those suffering the consequences of this atrocity. 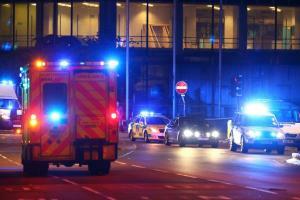 The Manchester Evening News has set up a crowdfunding page to support the victims' families. You can donate here. 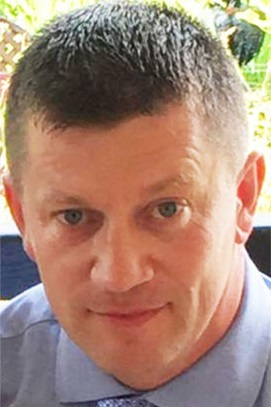 In targeting an Ariana Grande concert, the individuals who planned and perpetrated these murders deliberately chose to target children and young people. They are beneath contempt. The people of Manchester have shown why it is one of the greatest of cities. Those of all faiths and no faith have rallied: opening their homes to offer shelter; queueing to donate blood; ferrying victims home to their loved ones and more - demonstrating the solid, compassionate strength that has always defined that city's character and proving how in the darkest of times we can still witness the best of humanity. I've been sent this link to the local Conservative Party website for Bury, Greater Manchester. It states that "Whitefield resident, Robert Largan, has been selected to be the Conservative Candidate for Bury South". That Robert Largan bears a remarkable resemblance to the man we came to know as Councillor Robert Largan who, as recently as 13 April, sent an email out to his constituents stating his residence as Sulivan Court in Fulham some 227 miles from Bury in London. The Bury Robert Largan appears as a salt of the earth 29-year-old whom, as the Conservative website tells, started work on the fish counter in ASDA before making it as a chartered accountant. The Fulham Robert Largan is a long-time political hack who'd worked for the Thatcherite Greg Hands MP for Chelsea & Fulham and, until just over two weeks ago, was a junior Conservative Councillor representing Sands End ward in Fulham since 2014. He had also unsuccessfully sought to get elected onto Hammersmith & Fulham Council 7 years ago. Let's hope this Robert Largan chap in Bury would never behave like this.